How to conditional formatting in Microsoft Excel. - Coloring rows, columns, cells. Marking based on specified terms (date, number, text). Presented on practical examples. 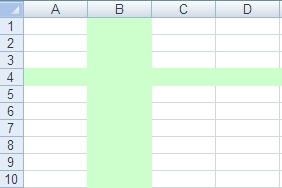 File Conditional Formatting Mark Word free downloads, for Excel 2007 and later. Mark row (part of row) depending on the condition in the designated cell (the same line). One condition. File Conditional formatting: for row, in cell condition free downloads. Mark row (part of row) depending on the condition in the designated cell (the same line). Conditions may be more on the line. 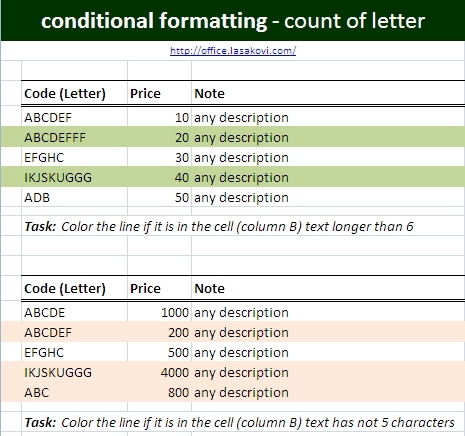 File Conditional formatting: row cell more condition free downloads. Mark locked/unlocked cells. Cells which is/is not applied the lock. 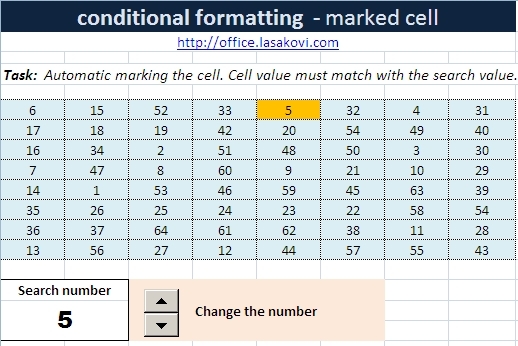 File Conditional formatting: un-locked cells free downloads. Mark numbers (values) at every change, if the same value - do not change color cells. 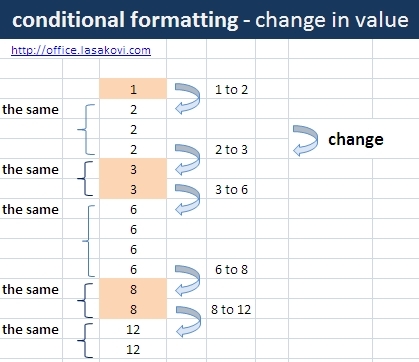 File Conditional formatting: Change in value free downloads. Conditional formatting based on values in a hidden column. Example for tests, quizzes, testing of vocabulary in a foreign language. File Conditional formatting for Quiz free downloads. In the area mark searched value. File Conditional formatting find and marked cells free downloads. Mark even (odd) number. Again, can be applied to the all cells in row. File Conditional formatting even/odd free downloads. Mark the days that we need (Monday, Wednesday, ..). Practical use calendars to mark Saturday, Sunday. File Conditional formatting day of the week free downloads. Using cross out where there is an active cell. Note for the correct function enabled VBA macros. Note for the correct function enabled VBA macros. Otherwise, every time if you move, you muss recalculate the sheet (F9). 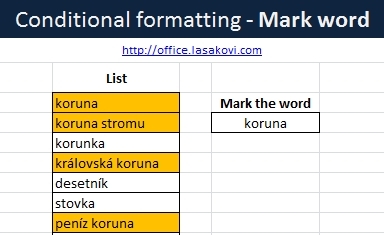 File Conditional formatting: Cursor marking free downloads. Mark the line if the given cell in a row has/does not have the required number of char (letter). File Conditional formatting: Count of letter free downloads. Marking line based on date, time (for example, check paid invoices). 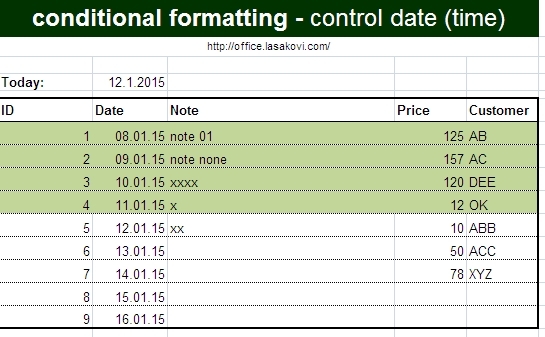 File Conditional formatting: Control date/time free downloads. 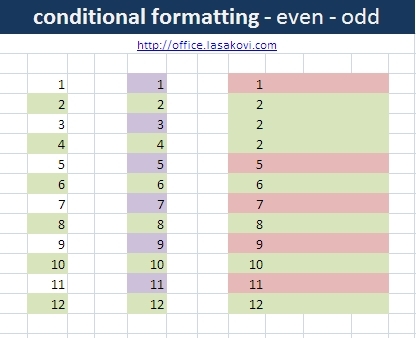 File Conditional formatting column: cell condition free downloads. 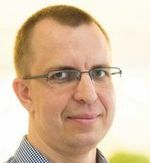 More information in Czech language: Podmíněné formátování - Praktické příklady (CZ).